Christmas and New Year are over but there’s still one more big holiday event on the Niseko calendar – Chinese New Year (CNY). This year Chinese New Year falls on 5 February 2019, and celebrations for the Year of the Pig will be in full swing around town. We’ve put together a guide for those of you planning your trip to Niseko for CNY – what to pack, what to book and what to do. CNY falls in the first week of February, so Niseko is still deep in winter and peak powder season. This means it will be cold, and potentially could snow every day you are there, so you’ll need to pack accordingly. The best way to stay warm is to layer up – while you’re out and about or hitting the slopes you’ll need all the layers but if you stop off somewhere to eat you’ll need to be able to take them off easily as most places have pretty efficient heating inside! Warm, thick socks are ideal to stop your toes from aching in the cold, and thermal tights and undershirts are a great lightweight way to add warmth without bulk. Jumpers and over shirts are great up top and for the lower half, ski or snowboarding pants are great to go over the top of your thermals, or if you’re going out at night then jeans or similar style pants are a great option. Scarves, gloves and beanies are also handy to have to keep warm when out and about. You’ll also need a good quality warm jacket and a pair of overpants – especially if you’re going to be skiing or boarding. If you don’t own your own then these can be rented from the ski rental shops around town. The roads and footpaths around town can get a bit icy if there’s no fresh snow on the top, and slips and falls are unfortunately a common accident. You can help avoid this by wearing boots with a good grip on the sole, and you can also buy cleats or spikes to attach to your shoes to give you extra grip, when walking outside. If you’re planning on trying some of the great restaurants around town it’s a good idea to book these in advance, especially if you have a larger group. Many of the top restaurants book out well ahead of time so the earlier you get in the better. Most restaurants will require a credit card number or deposit to secure your reservation and will generally charge a cancellation fee in the event of a no-show or a cancellation without notice. Check with the restaurants for their deposits and cancellation policies. If your accommodation has a concierge service they may be able to assist with these bookings. If you’re planning on having some ski or boarding lessons it’s a good idea to book these ahead of time too, as lessons, particularly group lessons, can book out during peak periods. Check out a bit more on the Niseko Ski schools here. Rental equipment, such as skis & snowboards, boots, helmets, clothing etc, doesn’t tend to run out during peak times, but it’s a good idea to book in advance if you want to secure exactly what you want. Booking in advance also makes it easier to collect on arrival – most rental places will allow you to collect your pre-booked equipment from 3pm the day before your rental starts, which means you can get straight on the mountain first thing in the morning! Most places don’t rent goggles or gloves so make sure you bring these with you, or buy some from one of the retail stores around town. 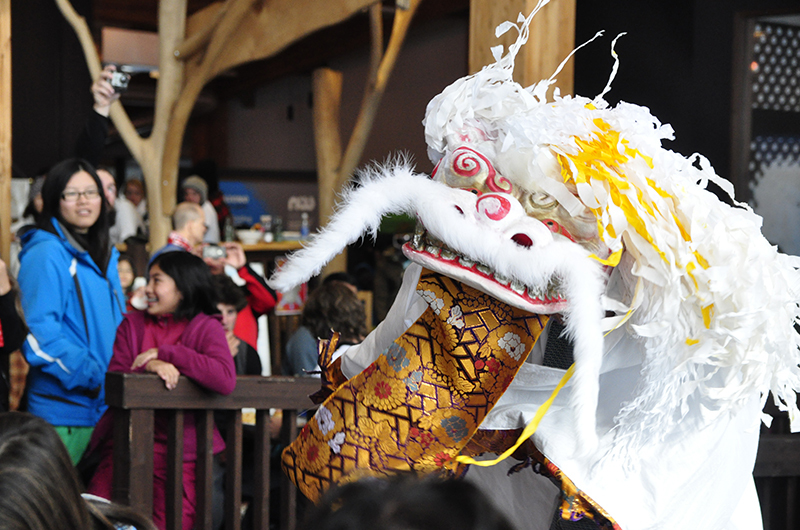 On Monday 4 February Niseko Village will be holding their CNY festivities. Check out a traditional & cultural performance by Yotei Daiko (Japanese drum performance) at Hilton Niseko Village from 9pm in the lobby. 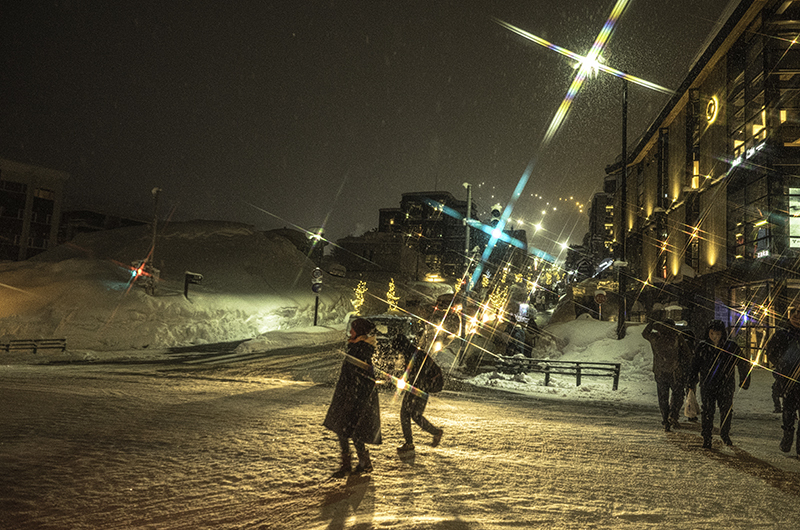 This will be followed by CNY fireworks from 9:30pm at the Niseko Village Ski Resort area. On Tuesday 5 February, Hanazono Niseko will also have plenty going on for CNY. There will be two performances of Traditional Lion Dancing (Shishimai) and a Japanese taiko drumming performance by Yotei Daiko. For more info see their website.